An excellent first –minute volley that left goalkeeper Mahmoud Abdelrehim in no man’s land and caught the full house at the Stephen Keshi Stadium by surprise was the difference as Nigeria and Egypt’s senior teams enacted an entertaining friendly in Asaba on Tuesday. Only a few seconds after the kick –off, a looping pass picked out Onuachu, and after controlling the ball, he unleashed a volley that could not have been destined for any other place but the gaping net. The lanky, Denmark –based forward was the undisputed discovery of the evening, putting up a remarkable display. A sensible first touch, great ball control, good shielding and turn-on-the-ball and penetrating passes were the hallmark of his Man-of-the-Match shift on the evening. Both teams, who between them boast 10 AFCON titles, enlivened the Stephen Keshi Stadium with a macho display, with stand –in captain Mohamed Elneny, Tarek Ahmed, Moustapha Abdalla and Islam Abdelmeged constantly frisking for opportunities for the visitors, while Onuachu, the impressive Henry Onyekuru and Moses Simon knocking on the Pharaohs’ door now and again. The Pharaohs had their first opportunity on the half –hour mark, when Salah Shalabi and Abdalla rose to head the ball from a free –kick but only succeeded in steering it over Daniel Akpeyi’s bar. A minute later, Alex Iwobi, clear on goal and with the goalkeeper to beat, failed to increase the tally for the Super Eagles. In the second half, Elneny headed a free –kick over the bar and two minutes later, on the hour, Onuachu did same at the other end from a Moses Simon free –kick. In the 73rd minute, Onyekuru brought the full house to its feet with a dazzling run that left four Egyptian defenders in his wake, but Iwobi’s shot was charged down. Leon Balogun thwarted the desperate Pharaohs in the 82nd and 88th minutes, but in-between, the Eagles had Ikechukwu Ezenwa to thank for a double save. First, he punched away a long range rocket from Abdalla, and then smothered a follow –up by substitute Ahmed Mahgoub. 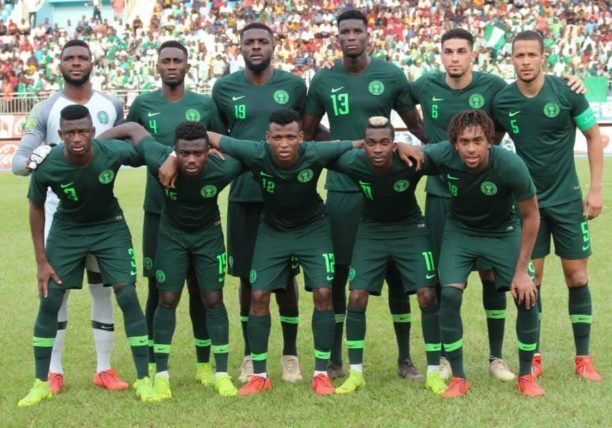 The encounter brought to an end a football feast in the Delta State capital which started on Friday, with the Super Eagles defeating Seychelles 3-1 in a 2019 Africa Cup of Nations qualifier. 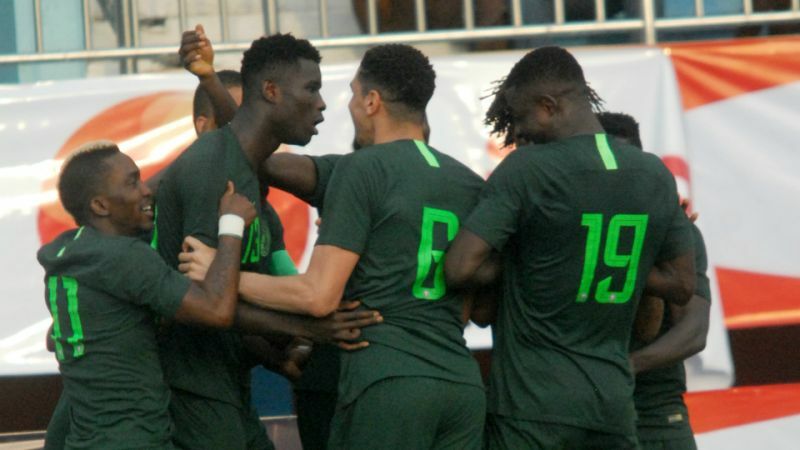 On Monday, the Nigeria U23 team spanked their Libyan counterparts 4-0 to qualify for the final round of the 3rd Africa U23 Cup of Nations qualification series on 4-2 aggregate.